I wish I had a picture of a beagle dressed up in a super hero outfit with Parylene on the front of the outfit – that would be perfect. Parylene, an industrial coating for LED cards, circuit boards and all other things that are LED related but need protection from the elements, has been rocking and rolling lately without any of the problems that standard conformal coatings have. Conformal coatings are things like acrylics, silicones, urethanes, and other chemicals that are applied to LED gear to resist UV wear, corrosion, and weather beating. One major problem with the coatings that are applied to equipment to protect them from the elements is an uneven coat that might even have completely unprotected sections due to running, meniscuses setting, and hard-to-reach areas within the equipment that the spray application can’t reach. Spray methods also add weight to the piece, and with a billboard or other outdoor signage this can pose a major problem. The parylene coating is not only UV resistant but heat resistant, light, and extremely thin. 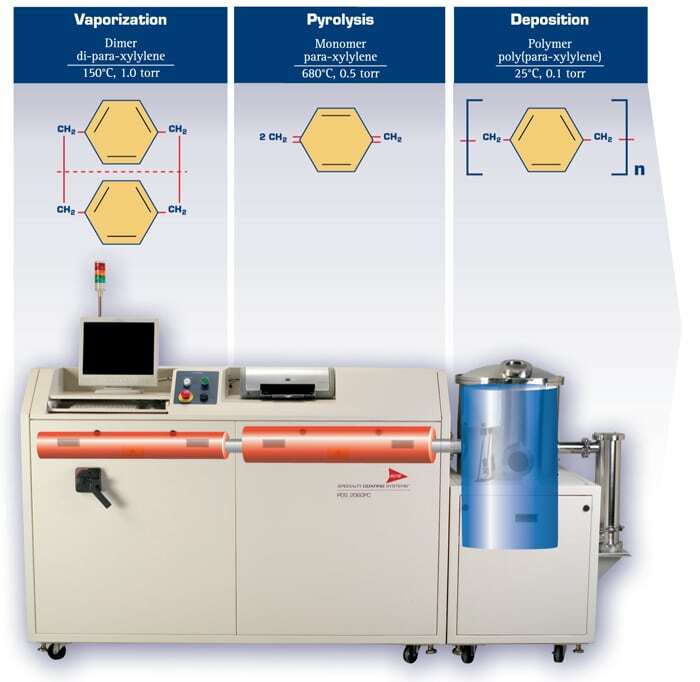 Parylene is applied in a vapor deposition process. Basically it’s like this – the raw parylene material is heated to a gas, heated again to break it down even further, and then introduced to whatever it’s going to be protecting, all in a closed system. The parylene is so small on the molecular level that it can get into all surfaces, nooks, crannies, and crevices to truly protect what it’s protecting. Its polymeric bonding keeps it light and conformal. 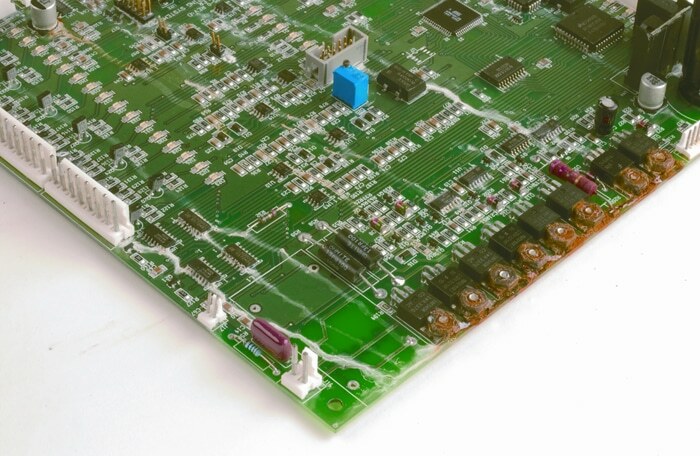 Check out a comparison of a circuit board without parylene and with parylene below. Process image – read more about the process at LEDs Magazine’s article. 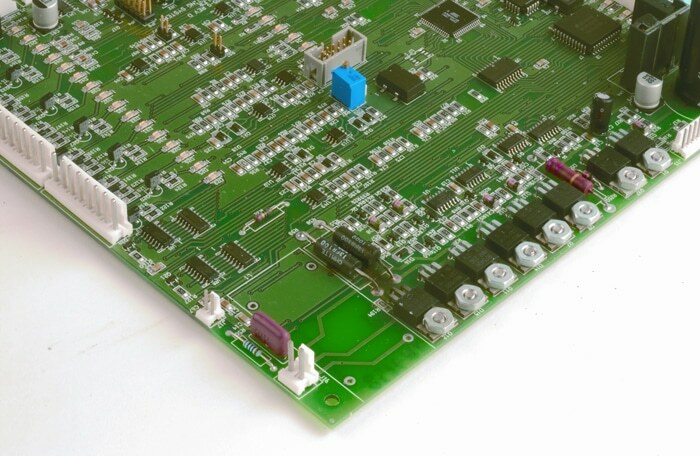 Parylene coating is the best coating to use for electronics and other applications. IT protects electronics from harsh weather conditions and it doesn’t add the extra weight to the device like other coatings.